Chillys Blog | Live – Love – Salsa! As you may have noticed its been a while since my last blog post. I have had to concede to the fact that I unfortunately won’t be able to post on chillysblog for a couple of more months. This is a collaboration of inspired Salsa enthusiasts from all over the World who have come together to bring you great and regular latin dance content to keep you informed, inspired and motivated. Its been a huge undertaking and overall better for the global salsa community and as a result I have been unable to keep my regular posts going here. However, I will be back to posting some of my own more random thoughts from October 2015 once my blog turns 5! Thanks for all the support and patiently wait for the comeback!! Found this post and as I have not shared anything with you all in a while, I thought; this definitely ranks as something worth sharing, so Share It! In this World you need to take personal responsibility to lead a good life! Some people push boundaries while others are content to colour within the lines. At the end of the day, do what works for you and ultimately, I think that is what this article is about. After the infamous Ice Bucket challenge, there was a challenge on Facebook that asked people to pick their top 10 salsa and bachata songs. A number of smooth unknown tracks were mentioned and I will not lie, I was genuinely excited to see what certain people revealed as their top 10. One list in particular caught my attention. Why? While the song choice was indeed impressive, the most impressive if not fascinating reason was the reason behind each song choice. Many a people just simply listed their top ten songs, but one Salsera in particular took it one step further and decided to explain why her top 10 was her top 10. Enter Martina Petrosino. An Italian salsera currently living in the UK. I first saw her in action on a video posted by Dani K taken at the 5star mambo city congress. She was dancing with Terry and not only was she keeping up with the Soul Brother of Salsa who is an absolute Beast (in a good way) on the Social Dance Floor, but she was throwing in her own style too (not an easy feat). If you have not seen the video, I suggest you watch it by clicking the pic below. Now you will notice her singing along as she dances. What you will discover if you get to know her is that she has so much love and passion for Salsa music that she knows so many songs by heart. You will constantly find her singing along as she performs some her signature Martina head and hand movements. So when nominated to put forward her ten songs, I would be lying if I said I was expecting anything less. Now while her top ten is not my personal top ten, I was so inspired that I thought I would share it with you so you can appreciate the thoughts and intensity of a True Salsa lover and maybe it will spark a whole new level of appreciation for the music. After all, where would salsa be without the music? Enjoy! P.S. If you love Salsa and want to know more about the history of Latin Music in the USA, click here and watch this 1hr documentary. Ok, I know it took me ages to do this, but squeezing all my favourite songs into only 10 tracks was really hard and I’ve taken it a bit further with personal interpretation. Thank you Shems and Yassin and thanks to whoever started this. I’m glad in this case no ice is involved and I’m grateful cause this has got to do with music, one of the most wonderful gifts the world has given us. So no donation required in this case, cause the challenge could almost be considered as a donation itself: What’s better than spreading joy everywhere by providing music?? The idea is to list 10 of your favorite Salsa/Bachata tracks and tag your friends…. I’ve taken the freedom to add a brief (depending on the points of view) description for each track, explaining why I chose them as my favourite tracks. Don’t want to bore you to death with my music feelings though so feel free to just skip all of them and click on the links only. I love the pace of this track. It almost feels like the notes are dragged throughout the piece, as to represent an image of tiredness and fatigue. The music grows but never gets to a very high peak, if not only through the voice towards the end. The flow reflects the lyrics: an invocation for rain, the struggle for the vegetation to grow in the field due to the lack of rain. Water: one of the main elements for humans but how often we take it for granted! amazing sets. An initially innocuous track that reveals its personality very gradually. There is no rush, but the adrenaline you end up feeling when you really listen makes your heart race. Originally made to be the soundtrack of a film on the history of Latinos in the US, “Todos vuelven” means “Everyone comes back” and it’s referred to Latinos emigrating to the US for a better future, but focuses on their attachment to the motherland, which always makes them come back. Black, grey and brown are colours I would use to describe this. The feeling I get here is threat, danger: Low trombone notes and hard and sharp percussion give it a very dark sound. Calle de la Luna and Calle del Sol (Street of the Moon and Street of the Sun) used to be some of the most dangerous barrios on the island. One of the most meaningful lines says: “Put your hand in your pocket, take the knife out and be careful. Listen to me, in this neighbourhood a lot of people who tried to fight the violence have been killed”. A tough reality of South American barrios in the past that’s unfortunately still very present in some areas of the world. Bolero: one of the oldest and least explored genres by the social dance community. Something I would listen to interminably with my friend Dani K.
With La 33, the Latin tradition is transferred into today’s way of making music: The old and the new coming and mixing together beautifully. Sounds are rich and polished. And the voice builds up so much that it’s not just a mean to express concepts anymore but it behaves just like an instrument. A really multifaceted band. This is a song about the power of nature: the birth of a baby. Hermanos Lebron: always a very distinctive sound despite the incorporation of so many generations taking over the band. You can tell from the first 5 seconds of their tracks that it’s them, it’s like a signature. Love the way this song changes from the beginning to the end. Trumpets and violins fading away at the start. As it often happens with Hermanos Lebron, the predominant feelings here are sadness and nostalgia. 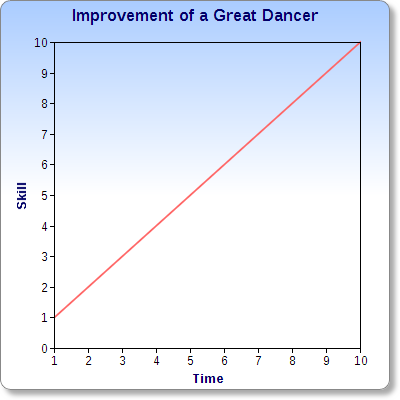 A reminder of why I love dancing so much. So many different moments in here. This music calms you down and pushes you up. It builds its energy section after section. A pleasure for body and soul. Do I actually even need to say anything about this? tendency of the percussions which help the music flow by wrapping up the dragging trumpets. Ruben Blades.. such a distinctive voice and not only because of how it sounds. Ruben Blades is known for telling stories of specific characters in his songs, giving them actual names and surnames and using the same as the song title. I can recall at least 3 songs that respond to this rule: Pablo Pueblo, Juan Pachanga and Pedro Navaja. A common element for the 3 characters is the struggle – whether for political, sentimental or sociological reasons. Juan Pachanga is a very unhappy man who hides his pain for a lost love behind a high lifestyle, expensive and fashionable clothes, cigarettes and alcohol. Musically, sounds are twirled and the combination of violin, electric piano, electric guitar and violin is just priceless. Despiteits great energy, I’d rather just listen to this than dance. I know it’s another bolero but I would be mad if I wouldn’t include this in the list of my favourite ones. As for Ruben Blades, you can recognise Angel Canales’ voice among millions. He plays with it in a very peculiar way, with ups and downs, by distorting it.. This is a song to listen to and preferably by yourself and with very good speakers or headphones. Sorry about this super long post but I felt that it was the only chance to express publicly what music means to me. Latin music is so rich and I think it’s a shame to dance/listen to it without fully understanding it, even if you’re not a Spanish speaker. It’s not just a mean to make us happy. It’s an art and it’s important to contemplate it besides “using it” for our own purposes. So much culture, history and traditions are here. Behind the lyrics, the instruments and the notes there’s people’s lives, musicians working hard to create this awesomeness and still deliver feelings after so many years, but only to the ones who really listen. Oh how time fly’s when you having fun. Hard to believe that 4 years ago I started this blog. Unfortunately, this year my blog has been a little bit neglected. I did however decide that in October I would pay tribute by being my most active writing self ever. This has worked out perfectly as I joined the Latin Dance community and published a post about the different personality types in salsa. This site went active as of 1 October 2014. Interestingly enough, this article was a result of the time I have spent this year understanding the different motivational reasons why people do Salsa. Its been very introspective. There will be another post coming out on that site before the end of this month, so keep an eye out. I also wrote a post on Salsa Bachata Online about Salsa congresses on the African continent. A very heartfelt piece. Go give it a read. AS for this blog, well only 1 post in October, but you can expect 2 more before the month is up. Not a bad way to pay tribute don’t you think? 2014 has been an interesting year for me. It happens to be the year I turned 30 and I also took a 6 week salsa dancing tour through Europe and is the year of my 10th through to 15th congress (yup, 5 congresses in 1 year). Now, as for what the rest of the year holds, I have no idea. All I do know is, ChillysBlog is here to stay and I look forward to keep writing for you till Year 5.
Who is a Jetsetting, globe trotting, coffee drinking, fashion trending, photo taking, G Star Raw wearing, Rum drinking and Friday facebook posting Salsero? None other than London based Olu Olu. Olu Olu and Chilly catching up on a Boat in Croatia. We are SORRY if you were not there. Now for those of you who dont know Olu Olu, the above paragraph pretty much sums him up. There is No other Salsero I know as well travelled. He has literally danced on every Continent on the globe. 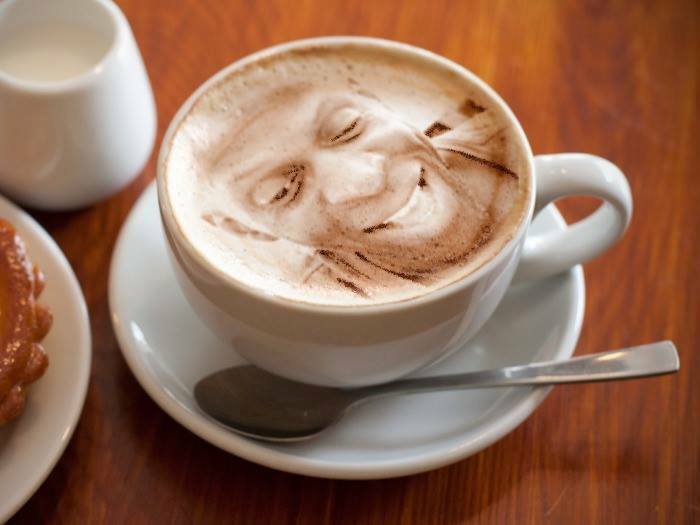 About a year or so ago, he started posting salsa related topics every Friday and it soon became a tradition that is now fondly referred to as – Olu’s Friday Coffee Lounge. The process is simple; every Friday he chooses a salsa related topic and posts it on his wall and then invites open debate from the Salsa community. As he is very well travelled, his posts invite comments from all corners of the Globe . Some of his posts are so engaging they will have 100’s of comments and I will quickly find myself feeling like MJ during the cinema scene in Thriller. As a matter of fact, his posts have become so popular that this week not only will there be his usual Friday Post on Facebook, but the Coffee Lounge will also be taking place live at the Berlin Salsa Festival 2014 tomorrow, Saturday the 4th of October. So I decided to use this Friday to catch up with Olu and find out more about his Friday coffee Lounge to give his avid readers some deeper insight into it. Enjoy! Why the name coffee Lounge and not Salsa lounge? Lol. Because I like Coffee more than I like Salsa! Where do you get the topics from? Either I think them up, pick them up from discussions I have or have had online with people or suggestions from people. Do you read every comment? Of course! I try to get involved and keep the conversation flowing and make new commenters feel very welcomed to the Lounge. Do you moderate comments or is it uncut and unedited? Totally uncut! But I have been known to delete off topic comments or shameless plugs for salsa events. Salsa WTF moment, There are some funny anecdotes there from fellows dancers that crack me up all the time. You are a man who calls it as you see it, but is there any topic you avoid or wont ask? I pretty much said we will tackle any salsa related discussion but I try to balance out the topics so it doesn’t become a whine lounge. I still have a few controversial topics up my sleeve. It’s now going to be featured at the Berlin Salsa festival, why do you think people are so interested in what you have to say? Its not so much what I have to say but more that people want to have these open discussions at a ‘dancefloor’ level and the Coffee Lounge with it’s mixed group of dancers, DJs, Promoters, etc that show mutual respect for each other (irrespective of our individual dance ability), is a place dancers find relaxed enough to open up and have these discussions. Everybody’s experience is valid. Any final words for all the Salseros and Salseras out there? One – Dance as often as you can! Thanks Olu for taking out the time! 1. Humans love controversy. The Dancing Irish man has written so many positive and helpful posts about Salsa, but the first 1 to go viral and be shared in the community is the no holds barred opinionated one. 2. Reading a lot of the comments (I will admit, I lost steam at some point), it just reminded me and really clarified for me that people do Salsa for lots of different reasons, and you know what – its OK! 2. Its ok to agree to disagree. You dont always have to see the other persons point of view, you dont always have to agree with it, but you should definitely respect their right to have their own point of view, yes even when its different to yours. 3. Dont take everything too seriously. There are kids starving in this World, there are real problems and our opinions on hobbies is not one of them. So relax, take a chill pill and read what my friend the dancing Irish man has to say… chew on it, think about it, disagree with it, but dont loose sleep over it and definitely dont stop dancing because of it. If you watch a lot of Salsa shows, you will have noticed a trend emerging – The Salsa Fusion. This was definitely a novelty idea back in the day, but today you will barely find a Salsa show without some hip hop, contemporary, ballet, cabaret, acrobatics and the list goes on. Actually, the hard part is finding a Salsa show without some fusion. Colombians who have combined acrobatics and tricks, dips, flips and unbelievable speed creating some of the most jaw dropping shows to ever hit the Salsa stage. Leon Rose and others have gone on to combine Salsa and Contemporary to produce hair-raising pieces that will leave you breathless. Nina and Zerjon, Fred and Marc just to name a few who have found the perfect balance of hip hop and Salsa that combines power and insane control that is just mesmerising to watch. Then you have the Swing Guys and Tropical Gem who have been fusing Salsa and other styles of dance for years. These are just a few examples of people who have perfected the art of the Salsa fusion. However what about a good old fashioned Salsa show? What does the future hold for Salsa in its ‘purest’ form? Is it dying before its even had a chance to grow as an art form in its own right? I hope not. Don’t get me wrong, everything has to evolve. Its the nature of the World we live in – Evolve or Die. Salsa is such a young dance style and probably is not mature enough to be able to produce an endless amount of shows and performances that would keep peoples attention. I mean how many times can you see a cross body before you get bored and wanna see something else? However it definitely is a style that I hope we allow to grow and mature. So continue to appreciate the salsa show in its purest form as well as the Fusions. I think it still has some growing to do before it evolves completely. Now to wrap up, I leave you with a NEW ‘old school’ style performance by my favorite couple – Adolfo and Tania. This routine is subtly sublime for its simplicity and mambo style. I know its been a while since I last blogged – actually this is my first post in 2014. This year has been cruising on by, its kind of scary how quickly time has gone. However, its official – Chilly’s Blog is back!I will be coming to you live and direct every Wednesday on the World Wide Web. Get ready to read some of my Salsa rants and raves. Its time to get back on track & then onto the next level. Here we go,are you ready? See you Wednesday! Today is the 31st of December 2013. I don’t do or believe in New Years Resolutions, but 2013 has been an Amazing Year for me. I believe in trying to make each day better than the next and it certainly worked this year and 2014 I believe will be no different. Always Onwards, Always upwards!!!! Its been 3 months since I last blogged, but this will change soon. 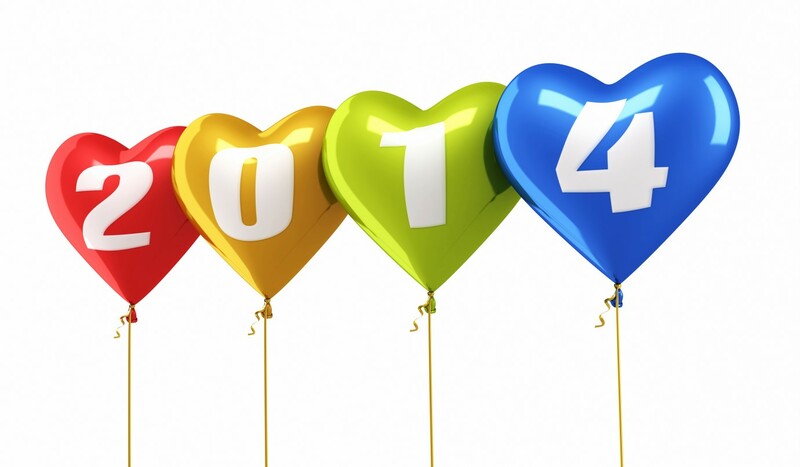 So I am writing this post to just tell you in 2014 expect more. More Blog posts, more sharing of my opinions, more calling it as I see it, more of Life really! Why? Well because Life is too short to call it any other way.